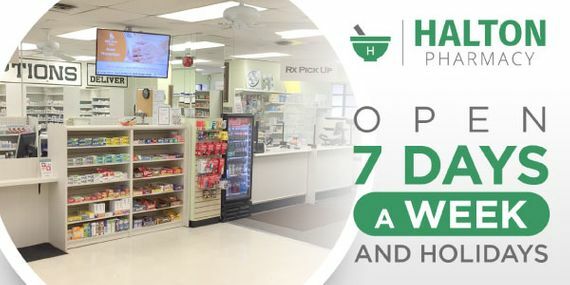 Halton Pharmacy is open 7 days a week in the Oakville Health Centre. We offer custom compounding, medication reviews, free blister packaging, easy prescriptions transfers and we have a certified diabetes educator on site. Our knowledgeable pharmacists are here to help and offer advice on all aspects of your health. Call us to get your prescriptions refilled quickly and conveniently. We also can deliver prescriptions directly to homes in the Greater Toronto Area. Call us for extra information on any of our pharmacy services or come see us at our location.